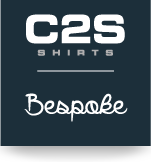 C2S is a French company of made to measure shirt located in the Poitou-Charentes region in the West of France. In the past 20 years we have acquired a great experience and we have developed a true expertise and know-howin manufacturing bespoke shirts. The selection of the finest fabrics, the care about details and the devotion to quality are our values since our earliest days. C2S is acknowledged for the quality of its shirts as well as the quality of its service and logistics. A short manufacturing period, about 2 weeks, and a permanent service for the tracking of orders on the internet make C2S the privileged partner of the major retailers for bespoke shirts in European and North American countries. The quality of our bespoke shirts is the result of a perfect cut, careful manufacturing and a selection of the best fabrics. Our production unit is the French leader for tailor made shirts (300 shirts per day). We provide a complete service, from the design and creation to the delivery. We are one of the last French manufacturer of made to measure shirts. The production includes cutting, fabrication, finishing and shipment. The design Study office masters the whole making process of our products (Lectra System Technology). 20% of our sales revenue are achieved by exports. C2S also runs its own production unit in Tunisia and ensures the success of your off-site production. Manufacturing is carried out in Tunisia and the order tracking, the customer’s relationship, the quality control, the logistic and the shipment are supervised in France. C2S has the "Origin Guaranteed France"label for its activity of ready-made of bespoke shirts for Man and Woman. (Veritas Certificat number 6020130 office). A close partnership has been developed with the Italian weaving mill ALBINI for their obviously top range fabrics line “THOMAS MASON”. Their more specifically double-twisted yarn fabrics among them cottons coming from Egypt are of an exceptional quality. We offer a selection of top range fabrics of the brand DAVID & JOHN ANDERSON with a large selection of SEA ISLAND COTTON and GIZA-45 in double twisted yarn from Nec-200/2 to Nec-300/2. Put to the test by the most demanding customers our products are the target of regular, rigorous and precise tests.